Marie-Therese Hocott earned her M.Ed. and C.A.G.S. (Certificate of Advanced Graduate Studies) in Mental Health Counseling and School Guidance Counseling from the University of Massachusetts, Amherst. She holds two licenses to practice in the State of Michigan: one as a professional counselor (LLPC), and another as a School Guidance Counselor (K-12). She also is trained and has worked as a Parent Educator through the First Steps program in Washtenaw County. Her interest in grief counseling compelled her to work toward and receive a degree in grief counseling (GC) from The American Academy of Grief Counseling. 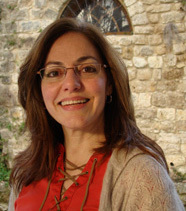 Marie Therese has worked with grieving and war-affected children from the time she was an elementary school teacher in Beirut, Lebanon in the late 1980s. She is fluent in English, Arabic and French. Marie-Therese met her future husband, Dr. Gregory Hocott at the University of Massachusetts. They have 2 children and have resided in Ann Arbor since 1998. Q. How do you find meaning in your work? A. Children are resilient, trusting, fast learners and positive by nature. It is rewarding to see how quickly children start to understand themselves and others. When I work with a child, I work with the hope that this child will eventually grow up to be a healthy, well-defined adult who is able to relate to his surroundings positively and can handle stressful situations with confidence and forbearance. Certain skills and attitudes that are learned in childhood will become part of a person's attitude and behavior in adulthood. When you address issues- no matter how painful- early in life, the issues will less likely be a factor later in life. So, it is meaningful to know that you are partnering with the parents in setting the child on a trajectory for success and fulfillment. In grief work, I accompany others through their pain and journey of bereavement and recovery and count it both a privilege and an honor. I feel I am answering a higher call and that I have been given the grace, experience and knowledge to deal with issues of loss. A. My strength comes first from my faith. I strive to maintain inner peace through faith, and in balancing family responsibilities, work and leisure. Volunteering at a nursing home is very rewarding, and it helps to keep perspective on life. I also have supportive and loving relationships that ground me of which my marriage is of utmost importance. I have worked with many non-Christians over the years. While I was teaching in Beirut, most of the students at the American Community School were non-Christian. I was also a Parent Educator for First Steps Washtenaw who worked with Arabic speaking families. Many of the home visits I made were to Muslim families. I respect each person as a gift from God and work within the framework of the culture, traditions, religion and values of my clients.